We had a wonderful day today visiting two great attractions in Tucson. One was the Mini Time Machine- an interesting museum in it's own class , full of miniatures and wonderful collections. The Mini Time Machine Museum of Miniatures, is a state-of-the-art museum displaying an entertaining and interactive array of antique and contemporary miniatures as well as enchanting artifacts and collections. The museum is like a time machine, where one can do a self-guided tour through different lands and times both real and imagined. My favorite part of the museum was the very old doll houses in the History Gallery section. My mom would have loved to have seen these! Gerry said he was in awe of the whole place. The smallest details in some of the houses, and to learn that some took many years to complete is something else! Over 400 miniature houses, room boxes and enchanting collectibles are part of the extraordinary collection in this educational and magical environment. We were even told of this possible haunted miniature house (below)- where items in the house have been known to move around or fall over! I always personally love a good ghost story! The other stop for us was the Pima Air and Space Museum. A very interesting place as well! We did alot of walking there but there is the opportunity to take a tram around the yard to see all the planes as well. 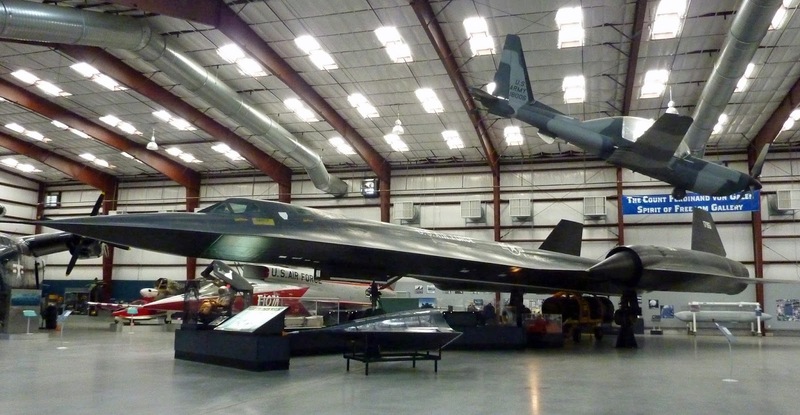 The Pima Air & Space Museum is one of the world's largest non-government funded aerospace museums. The museum features a display of nearly 300 aircraft spread out over 80 acres on a campus occupying 127 acres. My favorite planes of Pima Air and Space Museum, were the old Air Force One planes and as well the ANA Boeing 727 Dreamliner which was incredibly HUGE! Gerry loved the SR-71 Blackbird which was capable of flying 2, 193 miles per hour, and with a maximum altitude of 85,069 feet! Also near the Pima Air Museum is the famous Boneyard at the Davis Monthan AFB. Please note it requires a 10 day advance registration, which went into effect this past November '17. Be sure if in Tucson to make time to see both of these attractions- both are well worth a visit!